I’ve been shirking my summer reading lately… which explains why I didn’t make a book-related post last week. But, I assure you, I have a good reason! (More on that later.) Even though I haven’t completed anything worth reviewing lately, I’ve still been literary. Instead of following my usual format, I thought I’d take an opportunity to discuss all the stories I’ve consumed. 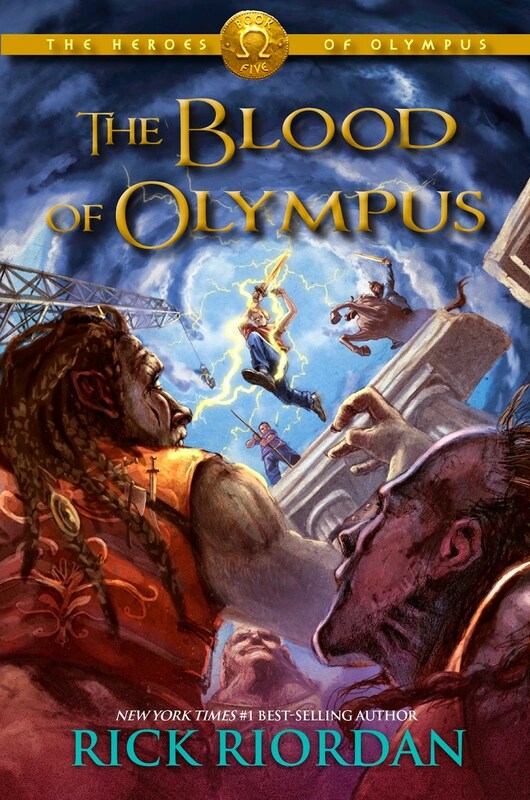 First up: Blood of Olympus by Rick Riordan I’ve been inching my way through Riordan’s vastly entertaining stories about modern-day demigods for several years. Whenever the next one comes my way, I pick it up. I started the Heroes of Olympus series three years ago and, although the final novel has been out for a year or two, I finally got around to reading it on my Kindle. Yes, I know these books are written for twelve year-olds. But what’s the fun of reading if you don’t appreciate stories for all ages? Although the writing isn’t spectacular, I ADORE these books. The characters are just plain FUN. The plot moves quickly, pulling me in and keeping me up late into the night. I won’t spoil the final novel for any of you who haven’t read them, but it did not disappoint! I read for hours straight, unable to put the book down. A satisfying conclusion to a highly enjoyable series! Audiobook Talk: Since I do field work for my summer job, life gets boring quickly. So, I listen to audiobooks! What I love about listening to novels is that it gives me a sense of purpose–the plot progresses to an end, giving me a goal to work towards. It breaks up the day and gives me something to look forward to amid weeding, hoeing, and other menial tasks. Every summer, I listen to J.R.R. Tolkien’s masterpiece on audiobook. I’ve been through them at least four or five times now. I started this year’s listen during my first few days back at work. Fellowship of the Ring took a mere four days–a new record! The Two Towers took longer–about a week. The Return of the King went quickly as well. I don’t really know what else to say about the series outside the fact that it’s an old favorite and no summer would be complete without it. I’m hoping to get through the copy of The Silmarillion I received for Christmas sometime this summer–a project that has now been set up quite nicely! 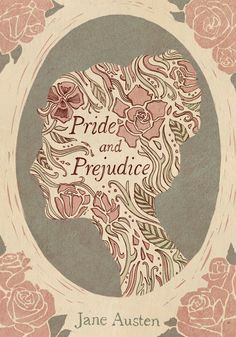 Last week, I returned to another old favorite: Pride & Prejudice by Jane Austen. Like many, many, many others, I’ve been reading and re-reading Austen’s classic for years. It’s been quite a while since I last touched the novel itself. What I love about P&P is that it’s the kind of story that you never tire of reading. Every time through, something different strikes you. Listening made certain aspects of the story stand out in ways that I had never before considered. Now, I’m revisiting another old favorite: Jane Eyre. I’m currently almost nine hours in–Rochester just dressed up as a gypsy in order to mess with his house guests (and find out if Jane has feelings for him). I’ll probably finish this one by the end of the week. Finally, the book that has been holding me up… Two years ago, I started reading Bleak House by Charles Dickens. I got 350 through before sending it to the back-burner due to assigned reading. This summer, I’ve vowed to finish the massive 800 page chunker. The problem is… it’s an enormous story with at least thirty characters that are difficult to keep track of. I had to re-read the Sparknotes summary for all the chapters leading up to where I left off, as well as character descriptions. This helped a bit, but I really didn’t get my bearings until I had plowed through fifty pages or so. I’m now on page 473 with half the book to go. It’s a wonderful book (minus the boring parts) and I WISH that my Victorian Lit professor had assigned it. I feel like there’s so much that I’m missing. But the central characters are enjoyable–I especially love Mr. Guppy. The portions Esther narrates are my favorite. I also laughed out loud at the part where Mr. Krook spontaneously combusted. Dickens has lots of balls in the air at the point I’m at and I’m excited to see how he connects everything. So… that concludes another On the Shelf! Maybe this weekend, I’ll take a break from Dickens and read something review-able. In the meantime, are there any books that I talk about here that you’ve read? What are your thoughts on them? Based on these texts, are there any you recommend me adding to my massive “To-Read” list? I read those a few years ago and loved them! They’re super fun! It’s DEFINITELY worth another read! I’m so glad I remembered I had the audiobook, ’cause it’s really low on my to-read list. It’s such a wonderful novel–I’m glad I’m able to revisit it sooner than I thought! These are actually all books on my massive to-read list. I enjoyed reading your thoughts on them. Lord of the Rings really are a long haul, but they’re well-worth it! The Frodo/Sam sections are always the hardest for me to get through. Listening to them on audiobook helps–it takes longer, but keeps me from getting bored of them.